No Fenders -Formula 1, IndyCar and A Whole lot more..: RETRO: Smokey's Definitely Got's the Hammer Down Now! RETRO: Smokey's Definitely Got's the Hammer Down Now! As that's a B-I-G' 10-4 Rubber Duckie! Ah', what better way to celebrate Black Friday... As Y'all are presumably recuperating from another Madcap Turkey-Lurkey Day, amid Wall to FREAKIN' ANNOYING Wall 'O 'Dem Pigskins bein' tossed around! Just think, thanks in NO large part to that Irrepressible Bandit in a Black Trans Am with the delightful Sally Fields ridin' Shotgun. Not to mention Snowman behind the wheel of that 18 Wheeler carrying thou precious cargo... We're all able to now enjoy that Adult Beverage West of Ye Mississippi, or wherever it was Banned; YEEHAW! Per Tipicali here upon thou Isle 'O Nofendersville, once again I've simply not had time to crank this riveting No Fenders post out. since presumably Y'all know by now that the legendous' Burton Leon Reynolds Jr. has departed to that Shopping Mall in Heaven, where the theatres playing All of his Hit Movies. As it's hard to believe that it was 41yrs ago when Smokey and The Bandit was en route to becoming the Nation's second largest grossing movie 'O 1977, surpassed only by some George Lucas Flick called Star Wars. having subsequently learned he was on Gunsmoke from 1962-65. Yet I won't try recanting each 'N every one of Reynolds films, other than it really doesn't feel like it's been over two decades ago since I last witnessed him in person upon thou Big Screen, when I saw his last great film appearance in Boogie Nights. As I can even still recall what he looked like in that film, sans toupee and trademark mustache. Although Reynolds himself has noted that Stroker' was his Downfall, especially in light of deferring the Terms of Endearment's movie role that went to Jack Nicholson the same year! But it now seems logical that Reynolds would do a Taxicab Bombers' Roundy-round movie in 1983, since somehow, ARSE-Sumedly 'cause it was before my motor racing Baptism in Earnest began? I somehow never knew, cared or figured out that the "Bandit" moniker in the Mach 1 Racing Skoal Bandit's name was in deference to his partnership with Hal Needham as NASCAR team owners. Hence logically, Barrett would be the team's first "Wheelman." When the team campaigned it's No. 22 Pontiac Grand Prix during their debut in 1981 - before switching to Buick Regal's the following season. But it was the team's second car, the #33 with Harry Gant behind the wheel that put them on the map. As Gant won nine NASCAR Winston cup races whilst driving for them between 1981-88. Before Needham pulled the plug the following year and sold the team to Travis Carter. While the last time I recall seeing Reynolds on TV was several years ago? 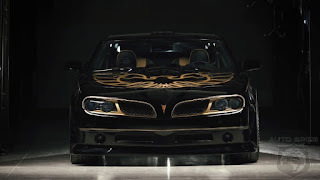 At least awhile ago upon another zany, wacky episode of Gas Monkey Garage's Fast 'N Loud TV Show, when they not only built a replica Bandit-mobile, but got a cash bonus for getting Burt's "John Hancock." 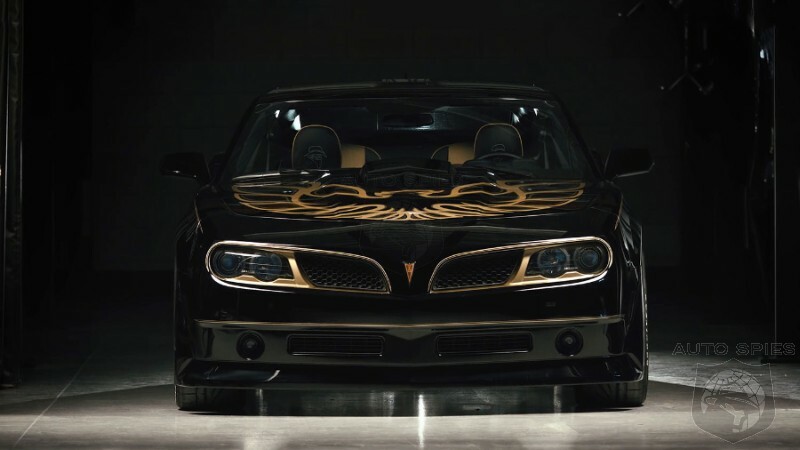 While I also enjoyed seeing briefly Good 'Ol "Fluffy," nee Gabriel Iglesias on the Jay Leno Garage TV Show with his 2016 limited edition "Throwback" Trans Am Bandit SE replica, one of 77 units produced by Trans Am Depot. Which Jay good naturedly thrashed.